It's time for drivers and their vehicles to get into winter mode. It feels like winter is still far away, but in reality there’s only seven weeks remaining and the weather is already beginning to take a turn for the worse. Here are some tips on how to avoid being caught unprepared or worse, stuck on the side of the road. 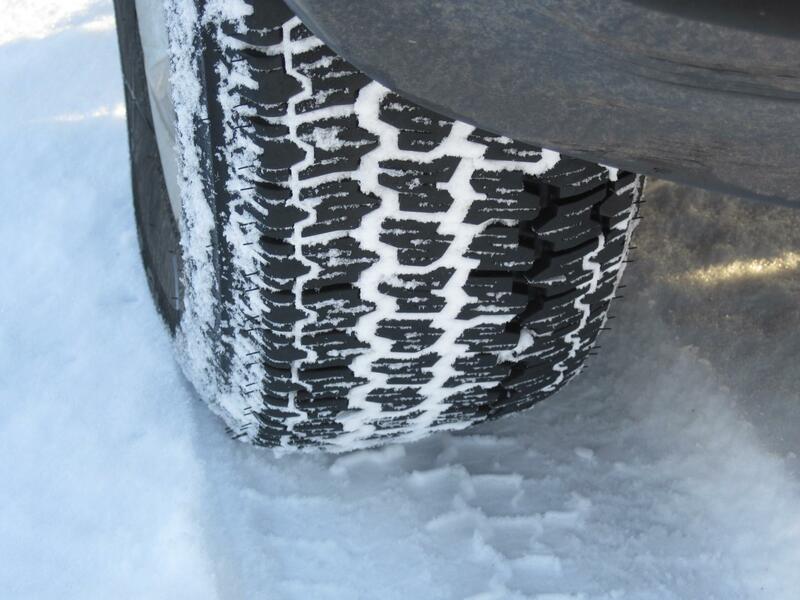 Do you know about B.C.’s winter tire regulations? To ensure everyone’s safety, there are marked sections of highway throughout the province that require cars have an approved set of rubber installed, or chains onboard, between Oct. 1 to March 31 (April 30 in some potential heavy snowfall areas). Offending motorists stopped by RCMP may be asked to turn around and face a fine. Visit any OpenRoad parts department to get a competitive quote for tires. Is your car due for a tune-up in the near future? Book an appointment at the shop sooner rather than later to avoid the inevitable cold weather rush. It’s especially important to make sure everything is running in tiptop shape, as the upcoming season is particularly hard on automobiles as well as people behind the wheel due to challenging driving conditions. There are also simple checks you can do at home to ensure winter roadworthiness. 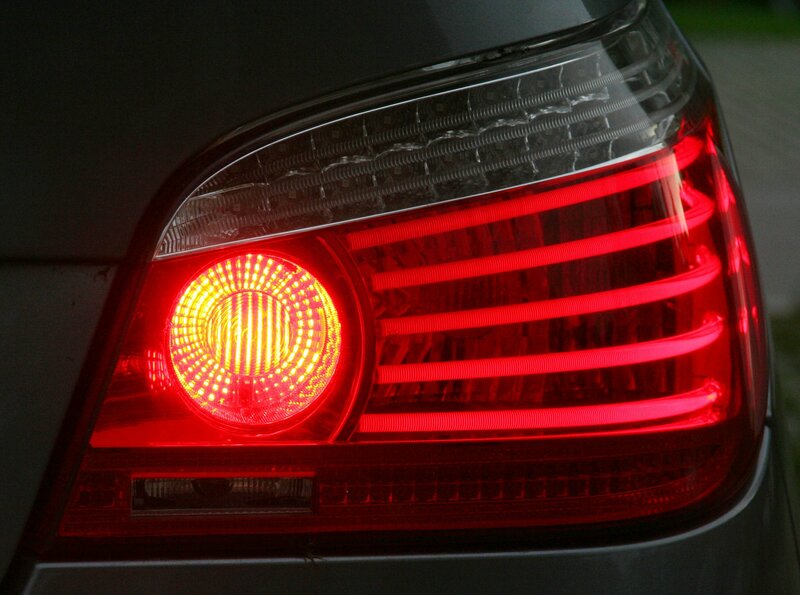 Turn on all the vehicle lighting to note any burnt out bulbs that require replacing. Inspect the windshield wiper blades for signs of degradation, and activate them to confirm they wipe streak free. Look for nails, flat spots or any tire irregularities. Pop the hood and see if any fluids need topping up. Keep a kit in the trunk or cargo area with a few supplies on hand in case things do go awry out there. There are inexpensive pre-assembled ones available in stores and online, or build one yourself: basics include jumper cables, triangle reflectors, a first-aid kit, basic tool set, ice scraper, flashlight and extra batteries, a blanket, bottled water and non-perishable food like a few energy bars. Before heading out, check the local weather to know what to expect. 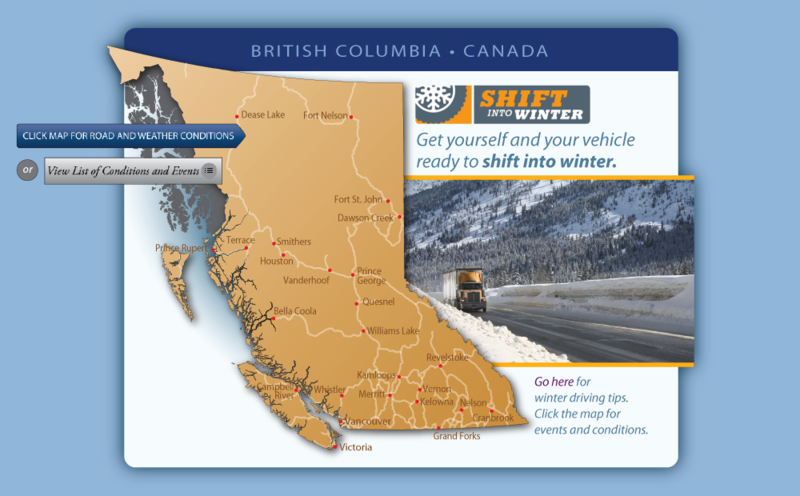 Even better, visit www.drivebc.ca for detailed updates on everything from current highway conditions to when and where major infrastructure construction is taking place.